Welcome to the website of acclaimed British pianist Martin Roscoe, where you can catch up on Martin's news, concerts, recordings and more. 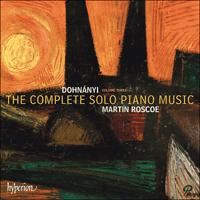 The penultimate volume in Hyperion’s four-part survey of the complete solo piano music of Ernő Dohnányi focuses on music from the period when the composer’s pre-eminent position was being assured. The titles of the largest works here, Ruralia hungarica and the Variations on a Hungarian Folksong, mask in their nationalistic ostentation the skill of a true master of piano composition. This exciting release came on the back of a very busy year, which saw Martin celebrate his 60th birthday and included a special celebratory recital at the Wigmore Hall and concluded with three concerts at Kings Place in December. 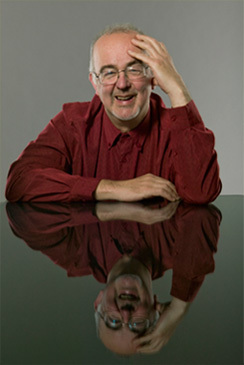 In further recognition of his sixtieth birthday and his contribution to Manchester's musical life over many years, the Bridgewater Hall has also appointed him as Associate Artist for the 2012-2013 season.